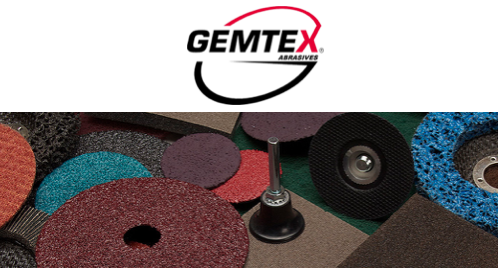 Gemtex® Abrasives, based in Toronto, Canada, was founded in 1975 and is a leading manufacturer of abrasive products sold worldwide. Their products are used in a wide array of markets such as industrial, aerospace, marine/shipbuilding, metal fabrication, automotive, mining, power generation, machinery, natural gas and retail. Gemtex® is a trusted quality manufacturer of private label and private brand abrasive products. Always striving for innovation, Gemtex® has introduced to the market products such as Trimkut®, Mini Grind-R, Mini RFDs and a high quality Supreme line of resin fiber discs.